Polycarbonate (Lexan®) spring loaded top cover. 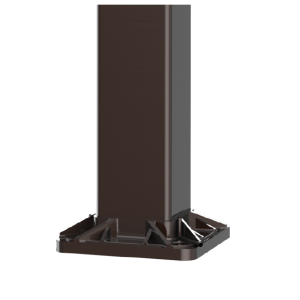 Fabricated from the highest grade structural steel. Conforms to ASTM-A500 Grade: minimum yield strength at 50,000 PSI. Minimum yield strength 46,000 PSI. Polyester powder coat finish on sandblasted surface. Chemical treated to ensure maximum paint adhesion. Lumight’s BULLDOG is as massive as its energy savings. 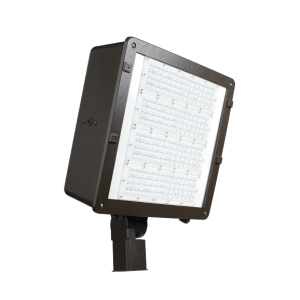 This commercial grade LED Flood Light is energy efficient and designed to replace your standard metal halide fixture up to 1000W MH! 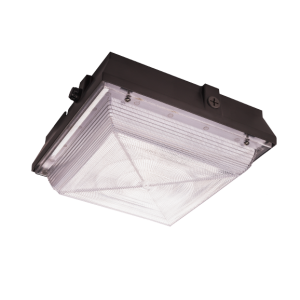 Strong precision die cast aluminum housing with each LED array protected by a UV stabilized polycarbonate lens, finished with all stainless steel hardware. Powered by premium Samsung® 3030 SMD LED’s. Industrial grade 120V button type photocell standard. Robust slip fitter mount comes standard and trunnion mount is sold separately. UL wet listed die-cast aluminum construction with UV stabilized polycarbonate lens complete with stainless steel hardware. Mounts to standard 4 inch square electrical junction boxes. Alternate junction box mounting possible via universal mounting ring. Ingress resistant gasket included. The NOMAD LED wall pack is as traditional as it gets. 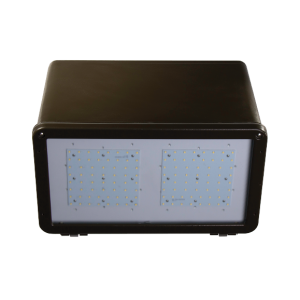 It uses an industry trusted design but is packed with new LED technology. Precision die-cast aluminum housing with a prismatic forward throw reflector made of impact resistant borosilicate glass and all stainless steel hardware. Premium Samsung® SMD LED’s chips. Mounts to standard 4-inch square electrical junction boxes with alternate mounting possible via universal mounting ring. Suggested applications: security, over door, garage bay and perimeter lighting. Industry leading mighty 5-year limited warranty. 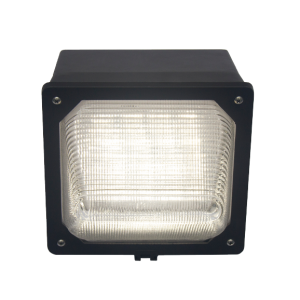 The TYPHOON is a robust traditional LED Flood Light that offers outstanding lighting performance for your building facades, storage area and uplighting commercial signs and displays while helping its user save on energy cost. UL wet listed die-cast aluminum housing with tempered glass lens, complete with all stainless steel hardware. Packed with Premium Samsung® 3030 SMD LED chips. Industrial Grade 120V button photocell standard. 50W version comes standard with a knuckle mount. 100W version can be used with a trunnion or a slip fitter mount each sold separately. Typical mounting height: 8 to 25 feet. Industry leading mighty 5-year warranty. The multi-purpose VAPERIZER is a perfect combination of durability and longevity. 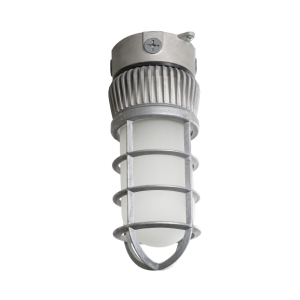 This LED vapor tight light is purposely built to withstand harsh outdoor weather conditions. Rugged die cast aluminum housing construction with frosted glass behind a strong aluminum globe guard. Packed with premium Philips® Lumileds LED’s. 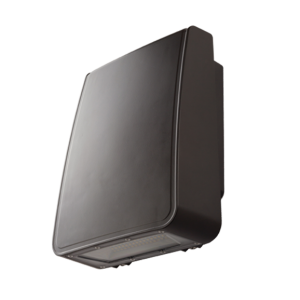 Can be used on a wide variety of applications including walkways, industrial facilities, stairwells to name a few. Typical mounting height 8 to 12 feet.